In Asian Ingredients, cookbook author Ken Hom states that the spring onion (also called scallion and green onion) is probably “Asia’s most universally used vegetable and seasoning ingredient.” Martin Yan has said that ginger, garlic, and green onions make up the “holy trinity” of Chinese cooking. A flavorful herb, spring onions are used in soups, dumplings, dips, marinades, stuffing, and stir-fries. 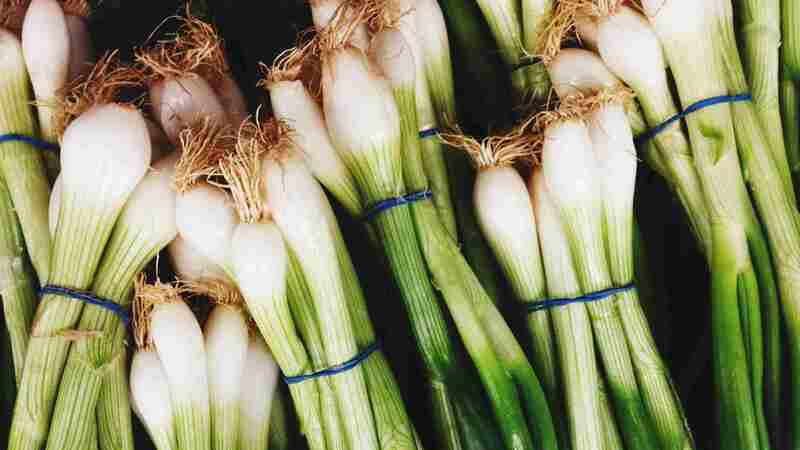 Here are three fun ways that you may never have thought of to use spring onions in cooking. Don't have a deep-fry thermometer to check the oil temperature for deep-frying? Another way is to add an inch-long piece of spring onion to the heating oil. When the oil reaches the right temperature the green onion will turn in circles. In "Breath of a Wok," Grace Young describes a traditional method for seasoning a wok using Chinese chives to help take away the metallic smell, and as an alternative to the oil method manufacturers frequently recommend. If you can't make a trip to a Chinese/Asian market to purchase garlic chives, another method is to replace the chives with scallions. There are several websites showing how to do this. Here, Seattle Food Times writer Nancy Leeson provides her own recipe. Green onion brushes take only minutes to make and require nothing more complex than a hat pin. 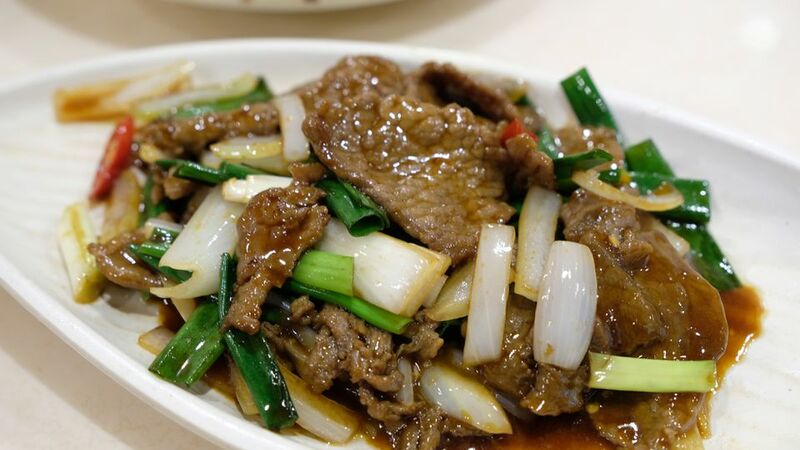 The brushes are put to practical use in dishes like Mu Shu Pork, where they're used to brush hoisin sauce on pancakes.